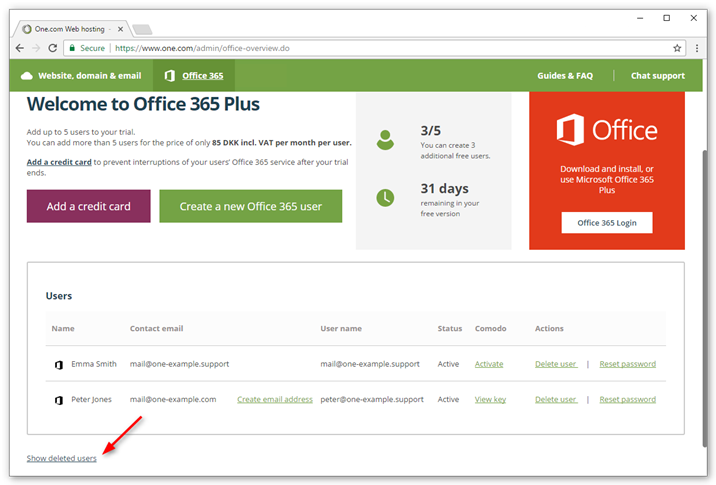 You can restore an Office 365 user within 30 days, after you deleted the user. 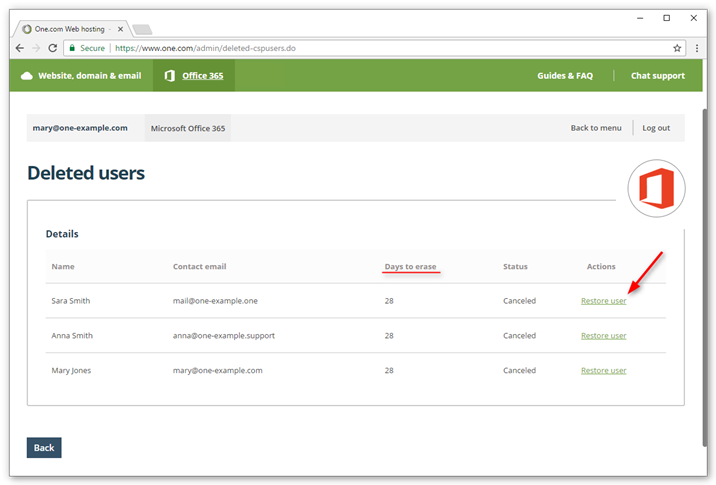 Login to the One.com control panel and click Office 365 at the top of the screen. 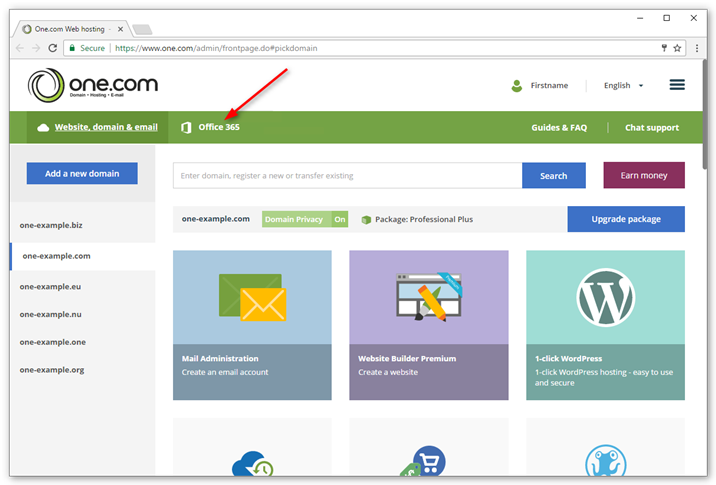 Click Show deleted users, in the bottom left corner on your screen. 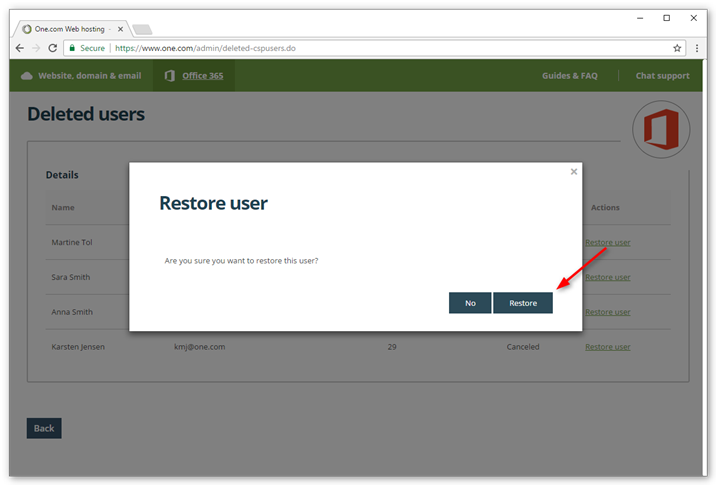 Locate the user you want to restore and click Restore user, to the right on your screen. Note: Under Days to erase you can see the number of days that are left until a user is permanently deleted. After this, it's no longer possible to restore a user.